Emil J. Ciavarelli Family Funeral Homes are Philadelphia and Montgomery County's most valued funeral home. 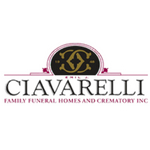 The Ciavarelli family has been providing dignified service to families for nearly 70 years. We are one of the only independently single-family owned and operated funeral homes throughout the area. Since our founding in 1948 by Emil J. Ciavarelli, we have earned the reputation as being the best in the quality of work we provide, the comfort and elegance of our funeral homes, and the value of our services, merchandise, and support to the families we serve. The newsletter is a portal to events, social activities, and community events. You need not be a member to join the newsletter.